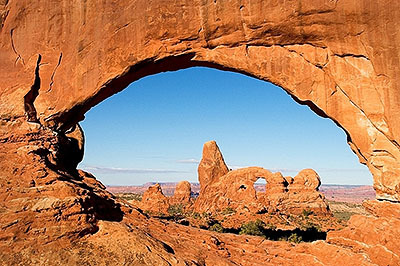 Enjoy three illuminating days in the spectacular red rock deserts of Utah with seasoned pro photographers including John Sexton, Tom Till, Nat Coalson, Michael Frye and many more. You’ll master photographic techniques from creative to technical in numerous presentations, classes and field workshops. Two lucky photographers will win a free copy of Lightroom 3 and Photoshop CS5! Hurry, space is extremely limited and there are only a few spots remaining! Below is a list of the classes, workshops and speaking engagements I currently have scheduled for this year. Hope to see you at an event in the near future! 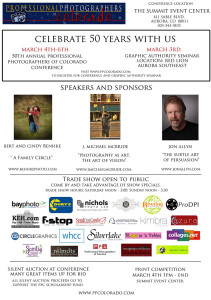 PPC, the local chapter of Professional Photographers of America, is holding their annual convention March 4-6, 2011. I’ll be at the trade expo with plenty of Lightroom books (I’m sharing a booth with Now I Lay Me Down to Sleep (NILMDTS)). Click the image to see a larger version of the official flyer; more details and registration are at PPColorado.com. This looks to be a great event, with lots of great folks and very experienced pro photographers in attendance. Hope to see you there! Just signed the contract to give a feature presentation at the Professional Photographers Association of Massachusetts’ annual convention next March. I’ll be presenting on Nature Photography, which is timely since my new book on the subject will be coming out right about that time. I’m excited to present at PPAM! 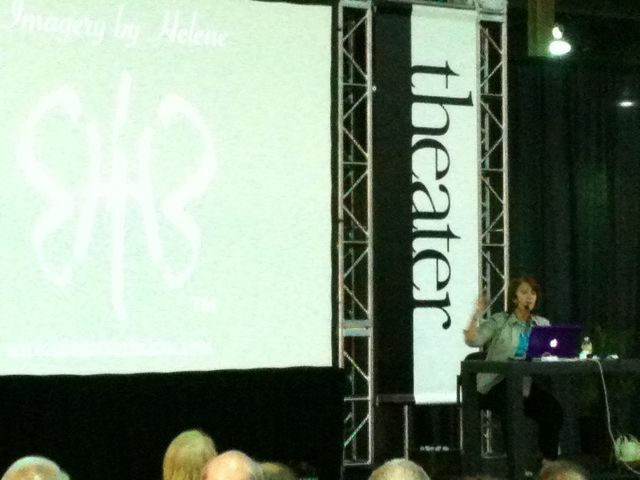 Helene Glassman is presenting on “Building a Successful Portfolio…” in the PSW Expo Theater. I’m in a class with legendary landscape and wildlife photographer Moose Peterson. Good stuff! 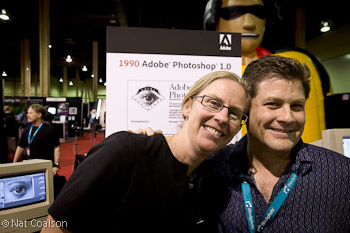 At Photoshop World this week, I spent some time at the Wiley booth chatting with Sandy Smith, a Senior Marketing Manager. 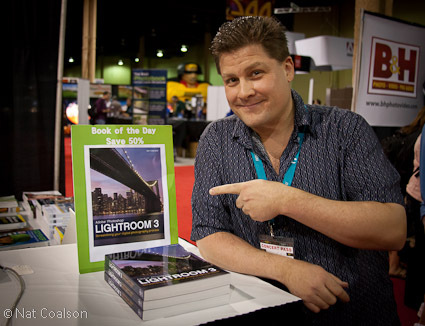 Wiley featured my Lightroom 3 book as the Book of the Day (and at a 50% discount!). As a result, they sold out all the copies they have for this show, but the book is available at all the major retailers. Yesterday at Photoshop World I had a great time chatting with Julieanne Kost at Adobe… she’s a talended artist, brilliant teacher and all around, just a really neat gal! Prior to the show I’ll post tips for saving money, getting the most out of the conference, etc. and during the event I will post event reviews, news items and interviews with people at the show. Hope to see you in Vegas next week! I’ll be in Las Vegas Aug 31-Sep 4 for Photoshop World (which runs Sep 1-3, with some pre-conference events). I will provide more details in the coming weeks and will be blogging from the event. 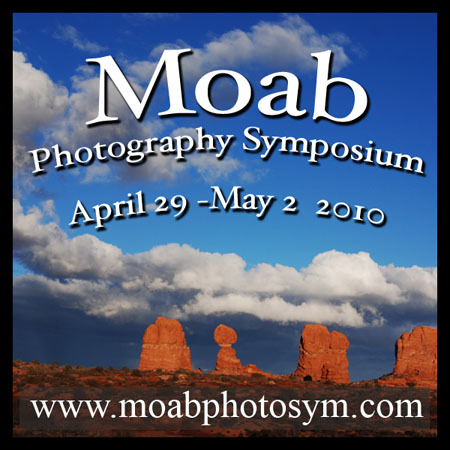 In the last few weeks I’ve had the great pleasure of attending and presenting at two superb photography events: Vermont Professional Photographers annual convention (http://vtprophoto.org/) and the Moab Photo Symposium (http://www.moabphotosym.com). In Vermont I was on the jury panel of the PPA competition at the state level, and presented a full day workshop on workflow with Lightroom and Photoshop. In Moab, I did two small, hands-on digital printing workshops; one using Photoshop and on with Lightroom; plus a presentation to the full group about the overall digital photo workflows based on Lightroom with a bit of Photoshop. While I was traveling between these trade shows I had little time to blog, tweet, chat etc but now that I’m back home in Colorado I wanted to thank the wonderful people who invited me to these important events promoting the art and craft of photography. If you’re in the area (or OK with travel) I can recommend both of these events to any photographer serious about developing their skills and professional connections within the industry. Another camera bag I tried out was the Tamrac 5770 Velocity 10x. This is one of those “sling” type bags, that rides on your back, but unlike backpacks, has only one strap. This allows you to swing it around from front to back when you need to pull out your camera. I think of this like a hybrid car – not really perfect in all situations, but great in specific situations. After trying out this pack I still prefer a backpack for longer hikes and a shoulder bag for quick access. That said, I like what Tamrac is doing with their designs. Their part of the photo market – carrying camera gear – is really competitive, and new companies are competing head-to-head with established ones, because — at least in my mind — there really is no perfect camera pack for all situations. For what it does, I like the Tamrac 5770 Velocity a lot. By far the most compelling backpack I tried on was the Think Tank Streetwalker Pro. It’s the right size, the right weight, the right design, at the right price. I like that it will hold my camera with my longest lens attached. And if needed, it will hold two bodies plus several lenses. This is the next camera backpack I will buy. But I admit that I — like many other photographers — am a compulsive camera bag buyer, so this will certainly not be the last. Hahnemuhle papers has announced a new partnership with Harman papers, and the new product looks great. I’m always surprised and glad when inkjet paper takes big steps forward in quality, longevity and price. These new papers excel in all three areas. This partnership was just announced this week, so details are still sketchy online, but I’ve seen the product and it’s worth keeping up with. I spent some time at the Tamron booth looking at their new lineup of AF lenses. Although my bag currently contains only Canon L-glass, mainly because I use full-frame dSLRs like the Canon 5D Mark II, I’ve used Tamron lenses for years and I like them a lot. In many ways, I believe they are the leading lens company in the business, but explaining that would take more effort than I can muster at the moment. After shooting with them just on the show floor, I can say the 17-50 and 28-270 VC (vibration control) lenses are great quality lenses, at great prices. I think these two lenses represent enormous potential on the road. They are fast, light and produce really sharp photos. I would like to pair these Tamron lenses with the Canon 50D or 7D. More work with them in the field would be necessary to confirm the performance, of course, and reading more reviews would help, but at this point I would have no hesitation buying either of these lenses for APS-C sensor cameras. I next met with Ron Henry, the inventor and founder of Black Rapid. Like camera packs, I’ve tried all kinds of straps … and at this point, I believe Black Rapid is it for me. Not to get too geeky, but Black Rapid represents the best of innovative thinking and development (my words, not theirs). This is stuff that works. But… straps and products that you wear on your body are things you have to try for yourself to find out if you like the feel and function of them. And just for women – Black Rapid has developed a unique strap coming into the market very soon. Stay tuned! Then I looked at music. Well, listened to music. And looked into buying some. Adding music to photo presentations is something that lots of wedding, portrait and event photographers have needed for a long time. But I’m a travel/scenic photographer, so what do I care about music? Well, since you asked 😉 these days I’m thinking a lot more about creating “experiences” with my photography. Slideshows with music present lots better than without. And my work has started to include video. Remember the term “multimedia”? This is where photography is headed. “Experiential” was a touch-word I heard a lot at this show. So, I’m thinking about how music can add to my visual art. The best solution I saw at this show was Triple Scoop Music. One of the owners and co-founders, and an accomplished musician, Ali Handal, explained it to me: basically, you find a song you like, you pay $60 to license it for life, and you can use it in any media except broadcast (for which you’d just need to call them to work out the fee). I listened to lots of their music, in all genres and from all kinds of artists, and it was really good. Definitely worth looking into. After checking out all those products, I was ready for some real education. I got lucky and stopped by the Canon booth just in time for a great presentation by Bruce Dorn called “The Moving Portrait” about shooting video with modern dSLRs. Really great stuff. I also saw demos by Bruce and his Canon Explorers of Light fellow Hanson Fong about using Canon Speedlight flashes in studio lighting. This is the kind of learning experience that makes spending time on the trade show floor really worth it. Inspired by Bruce and his explanation of camera support for shooting video, I went over to the Induro booth. I’ve been using the Induro CX114 for several years and really like it. It’s sturdy, light and well-made. I think Induro tripods are a very good value. I was interested in a monopod for shooting video and found out about the CM25. Along with a fluid pan head, I think this will make a good mount for mobile video shooting. 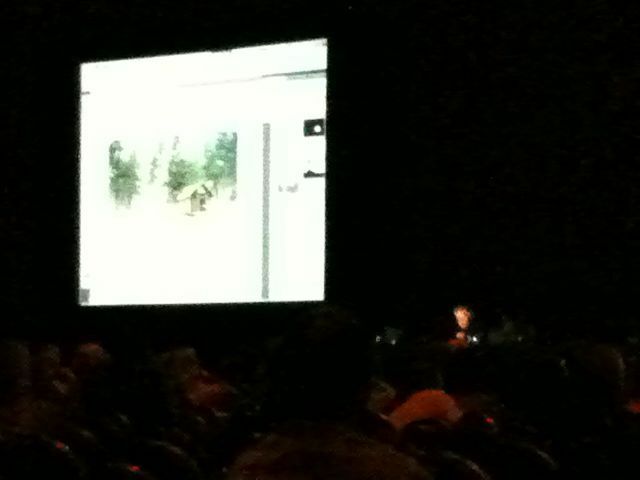 Later in the Canon booth, I watched a fun and inspiring presentation by Photoshop Hall of Famer recipient Eddie Tapp. He demonstrated all kinds of creative photo editing techniques in Photoshop and Adobe Camera Raw. Finally, to round out the day, I met and chatted with Jeff Payne, a regional Hasselblad rep I met at the booth for Pictureline, a camera and imaging retailer in Salt Lake City. Jeff invited me to demo the new Hasselblad H4D40 medium format digital camera system, which I did shortly thereafter. I’ll write about that exciting experience in a separate post. In Vegas at WPPI and glad I came; it’s the biggest photo trade show I’ve ever been to! Unlike other shows lately, everyone is here… all the major companies are present and hawking their wares. So far the biggest thing is printing; lots of top labs doing great work on new papers, films, metal etc. I found a new canvas for my Epson 9800: Premier Art Generations Satin Canvas. In the Canon booth I saw a demo of the new Canon 1D Mark IV. Sweet! I’ve just returned from Nashville and the 2010 session of PPA’s Imaging USA… I’m feeling a strange combination of excitement and exhaustion. It was a high-intensity experience! Over the years, I’ve attended countless trade shows and conventions and I can say without a doubt this was the most rewarding, productive convention I’ve been to. Kudos to PPA for putting on a really great event! Over the past year or so I’ve been hearing of the notable decline of trade shows across the board – smaller venues, fewer people, lots of compaies pulling out and not having booths due to falling cost/benefit ratios. In this way, Imaging USA 2010 was remarkable… several PPA folks told me they were surprised (and overjoyed) by the attendance, for which I heard estimates between 10 and 12 thousand people! In a “down economy” that speaks volumes. What I saw at the show was a very determined effort by photographers and suppliers to push their businesses forward this year. The folks at the corporate booths were thrilled at the frenzy of activity surrounding their products, and the photographers were intently interested in both the products and the fantastic educational offerings. On the trade show floor, dominated by print labs and camera accessory vendors, the activity was inspiring. WHCC (White House Custom Colour) had a constant stream of visitors, as did the booths for Canon, NIK Software and many others. The people in the booths kept the level of interest high with ongoing demos and presentations and people were just eating it up! One of the more interesting presentations I saw was about shooting high-def video with the Canon 5D Mark II. I’m looking forward to doing travel video on my trips this year. Steven Inglima, a really nice guy who runs Canon’s Explorers of Light program, spent some time with me, explaining how their training programs operate. He’s put together a top notch roster of photographers who speak around the country giving demos and presentations featuring Canon’s photography solutions. I also spent some time at the Luma Vue Arts booth, talking to Steve Knudsen, the inventor and owner of the company. These lightboxes are beautiful, and I’ll soon be offering my prints in ready-to-hang lightboxes. On the more “traditional” print side, I saw samples of the beautiful new paper from Canson called Baryta Photographique. I looked at the latest printer offerings from Epson and Canon and was really impressed with both. I’m considering buying a new printer this year, and it’s going to be a tough call, but at this point I think I’m still leaning toward the Epson 9900. I also had a chance to see the annual PPA Print Competition display which was really impressive. I’ll be entering some prints into the Colorado competition this year. If you regularly present your work as slideshows, you should check out Animoto. It’s a new web-based service that allows you to upload your image files and then create high-def videos from them, complete with gorgeous transitions and pro music tracks. The videos can be downloaded, are unencrypted, and can be used any way you like. The convention also featured a full schedule of seminars, of which I attended 4 or 5. I saw a great lighting presentation by Tony Korbell, and a very informative talk from Roy Hsu about stock and commercial assignment photography. I caught the last half of a seminar by Denver’s own Sandy Puc’, a renowned portrait artist and excellent speaker, about marketing and product sales in the portrait world. Very interesting. I had a chance to sit and chat with Adobe’s Tom Hogarty, the Lightroom Product Manager. We discussed the upcoming release of Lightroom 3, my new book, and the training market in general. Tom’s a great guy and I look forward to working more closely with him over the coming year in helping more photographers master Lightroom. There was strong interest in Lightroom throughout the convention. I also got to hang out with Rob Sylvan, the author of Lightroom 2 for Dummies, also published by my author, Wiley, and the technical editor for his book, Steve Holmes. Both really great guys and experts at what they do. One of the developments I’m most excited about for the coming year is my newly forged relationship with the local chapter of PPA, called PPC or Professional Photographers of Colorado. I had some very lively and productive conversations will Jill Bailey, PPC’s president, about all kinds of new education offerings we’re going to be partnering on. I will be presenting a digital workflow program for PPA in February, from which we’re going to start spinning off more training events, many open to the general public. Stay tuned! My time in Nashville was time very well spent. This is the second Imaging USA I’ve been to; the first was in Tampa several years ago and was also excellent. Although PPA and Imaging USA is mainly geared toward portrait and wedding photographers, and I do travel photography, usually outdoors using natural light, I’ve found these conventions to be very worthwhile. If you haven’t been to one yet, I’d recommend you start making plans for Imaging USA 2011 in San Antonio. I’ll be there and hope to see you there too! 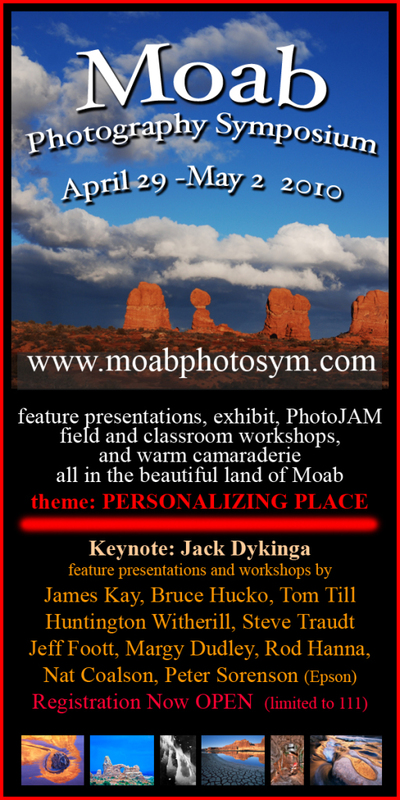 I’m teaching two printing classes (with Lightroom and Photoshop) at the Moab Photo Symposium. Space is very limited so sign up soon! Click the image for details and registration.